Ferrari Factory Postcard Gerhard Berger. 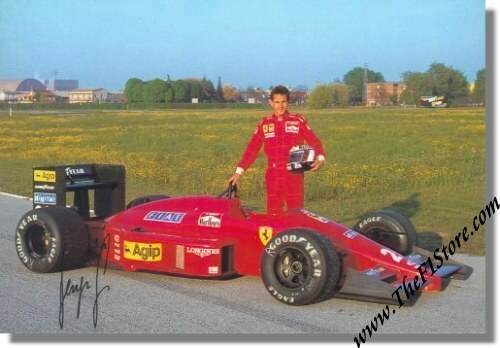 It shows Gerhard behind his 1987 Ferrari F1-87 + printed signature. Ferrari Print Number 472/87, issued in 1987.